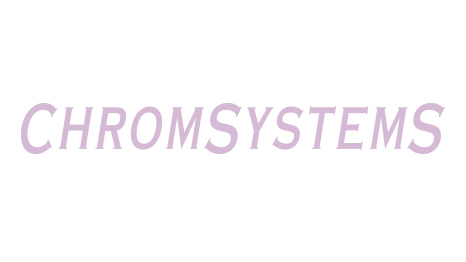 Chromsystems implemented for its manufacturing and quality processes a quality management system to meet the highest standards of quality and performance. In 2004 Chromsystems Instruments & Chemicals GmbH was certified for the first time in accordance with EN ISO 9001 and EN ISO 13485. In 2018, the company also obtained its MDSAP - ISO 13485 certificate for Australia, Brazil, Canada and the US. Since 2007 TÜV SÜD have regularly checked the company’s compliance with its standards and confirmed its conformity with a certification. Before the company’s kits are introduced to the market, they are comprehensively validated and verified, and the quality of existing products is continuously monitored. Products for the detection of phenylketonuria, which comprise all reagents, controls and accessories for the tandem mass spectrometry analysis of amino acids and acylcarnitines, are tested separately and certified according to IVD-directive 98/79 EG by the notified body TÜV SÜD Product Service GmbH.